The Standing Stone: Cloneen Castle, Co. Tipperary. Location – Just off the N62 near Roscrea. OS: S 139 871. This site can be seen from the road. Description and History – The earliest reference for this castle is from 1640 when a Roger Maher was listed as proprietor. Apart from this bit of information little else is known. In fact it is hard to even classify the castle correctly as there is so little left. The 17th century date would indicate that it is a fortified house and based on the thickness of the wall (0.88m) I would agree with this. The walls are too thin for it to be a tower house. All that remains is the NW corner of a fortified house which stands roughly 3.5m high. There is no evidence of a bawn. I wouldn’t set out to see this castle specifically but would stop by if you are visiting other sites in the area. It is the barest shard of history. Difficulty – Easy to find and can be seen from the road. The remains are located in a pasture field. The field dips away on the other side of the castle and I didn’t realise there was a bull stood on the other side of the castle – I beat it back to the gate. He certainly didn’t like me being in there. For more fortified houses, click here. 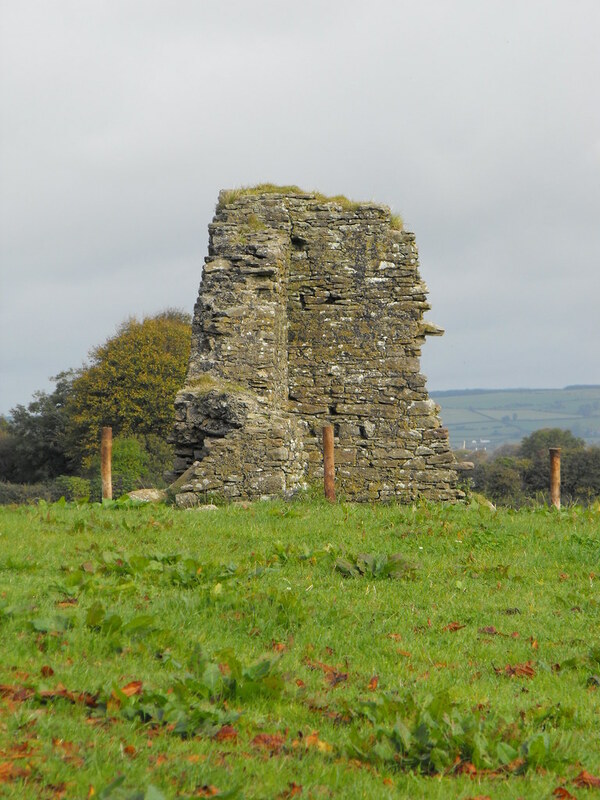 For more sites in and around Roscrea, click here.